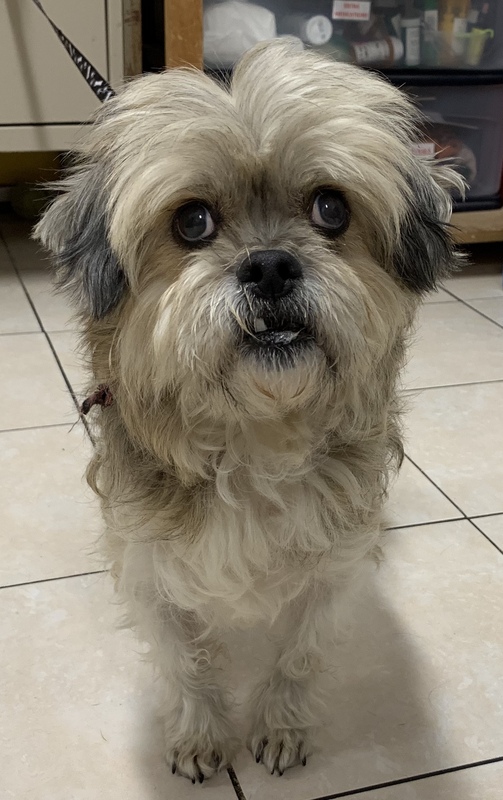 7-8 years old, Tan and Black, Shih Tzu mix, Mel is a dog whose heart is full to the brim with love. 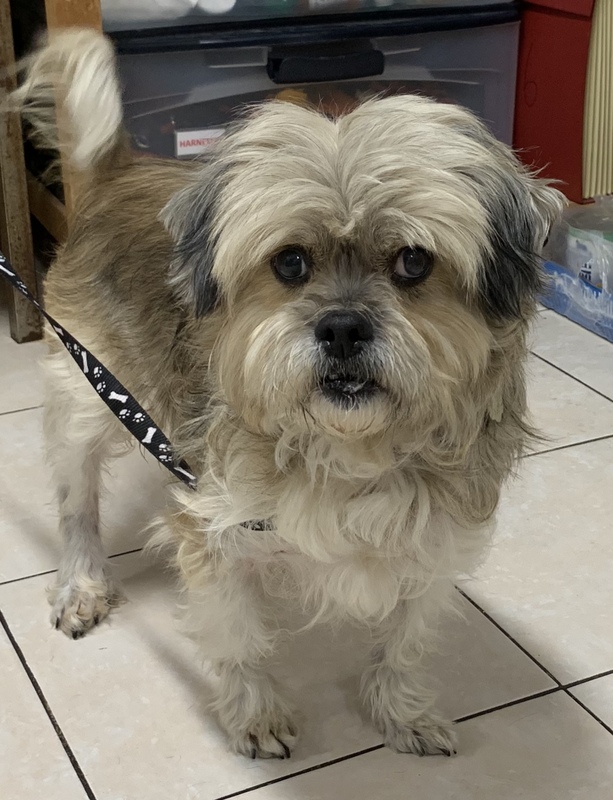 He is sweet and gentle and so eager to share his love with the right family. His only challenge is that he is nearly blind and relies on his other senses to help him navigate your home. He walks very nicely outside on a leash and enjoys sniffing his way as far as you wish to walk. A true gent, Mel is house trained and saves himself for his walks. Mel loves other dogs and would even benefit with a fellow canine to follow about. 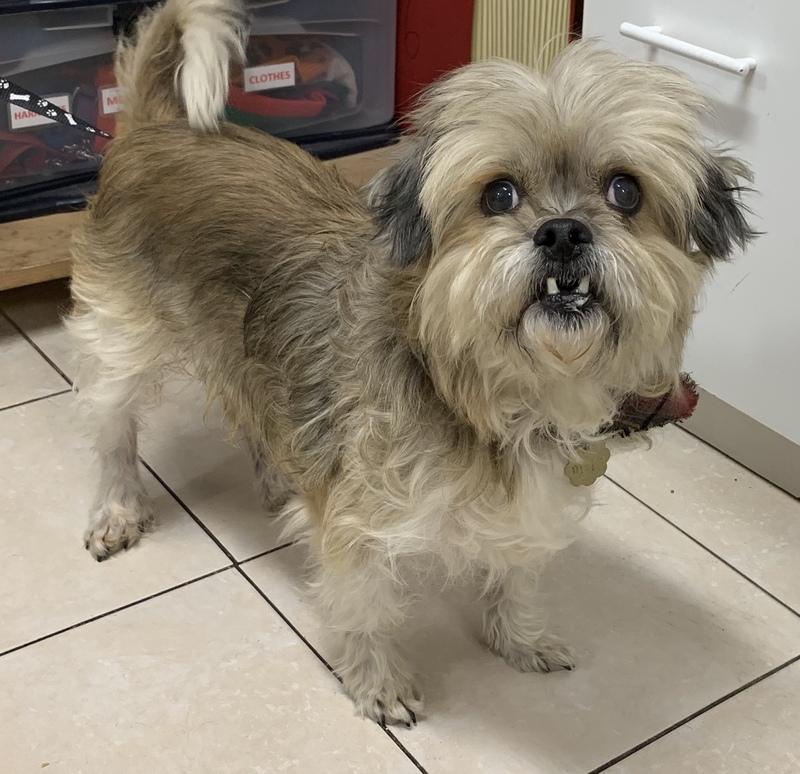 Mel is 7 or 8 years old so he has quite a few happy years ahead of him. He weighs 14 pounds and is neutered, micro chipped and current on his vaccines. He is a delightful dog who needs the opportunity to share his love. You will never regret opening your heart and home to him.